We desire to see our preteens in our church community continue to build a strong foundation for their spiritual growth, and for them to develop healthy attitudes and relationships to prepare for their teenage years. Focus Youth meet on Sunday morning, concurrent with the 10:30am service. The children attend the first 10-15 minutes of the service joining with the adults in worship through singing. They then have a teaching time combined with discussion, prayer, challenges, games and other interactive activities to maintain interest and aid learning and spiritual growth. 252 Pre Teen: It’s an experience for year 7-8 student that meets the unique challenges facing this age group. The transition between children’s ministry and youth ministry is tricky, and we are committed to keeping our preteens involved and engaged during this time.252 PRETEEN will begin with a question that helps set kids on a path to discover something true about God with a way for them to wrestle with it and personalize it to their unique situation. The teaching time will set up the tension that preteens feel about the Bible story and give them a way to process that tension with the key question. There will be a Small Group discussion will be driven by the key question – allowing kids to wrestle with their response and discover how the Bible story relates to their life. Throughout the curriculum, parents will receive guides to help seal in God’s truths that their children have been learning about on Sunday morning. Sometimes these are sent home with the children, but they are also available on our Hamilton Central Baptist families Facebook page. We strive to make it as easy as possible for parents to review the lesson at home during the week. Each month we will introduce a new scripture passage for Bible Memory. “I have stored up your word in my heart that I might not sin against you.” Psalm 119:11 Stay connected to what the kids are learning! 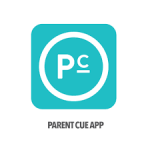 Download the “Parent Cue” app on your iPhone, android, tablet or iPad! It includes all the stories, videos, and music that we use on Sundays so you can keep the conversation going! We also have other resources you may find useful on our parent resources page. We hold fortnightly afterschool hangouts for Preteens to help get to know each other better and help bond as a group. These events take place on a Friday afternoon, and includes a variety of games and space to hangout with friends. There is a $2 door charge to cover costs and afternoon tea. Each term we also have a large event planned combined with the older youth which will usually have a charge to cover costs. We also encourage our young people to attend the Baptist Youth Ministries eCamp at Findlay Park over Easter. This is a great opportunity for them to be with like-minded others and be encouraged and grow in their faith.